When a mental health professional evaluates your child, the exact approach used will vary from one individual to another. A full evaluation by a psychologist or psychiatrist includes many components. 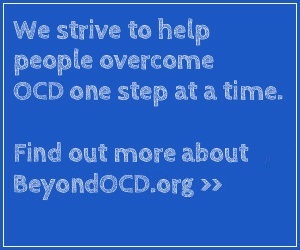 Ideally, a thorough psychiatric, developmental, and medical history should be performed to make an accurate diagnosis of OCD as well as any other disorders that may co-exist with OCD (e.g., depression, attention-deficit/hyperactivity disorder, Tourette Syndrome). Care must also be taken to distinguish OCD behavior from behavior that may be a preference, habit, normal development, or simply “eccentric.” Therefore, it’s very important that your child be evaluated by someone who has experience treating children and adolescents with OCD. Mental health professionals frequently use diagnostic interviews such as the Anxiety Disorders Interview Schedule for DSM-IV, predecessor to the DSM-5, (child and parent version), or the Schedule for Affective Disorders and Schizophrenia for School-Age Children (present and lifetime version) to assist in making a diagnosis of OCD and determining the presence of other disorders. Your child may also undergo a complete physical exam as part of the evaluation. Once a diagnosis of OCD has been made, it’s important to establish how much distress and impairment your child is experiencing as a result of the OCD. The most frequently-used tool for this purpose is the Yale-Brown Obsessive Compulsive Scale. There are two versions – one for adults (Y-BOCS) and one for children (CY-BOCS). The therapist will administer the CY-BOCS to both you and your child to try to pinpoint which OCD symptoms (i.e., obsessions and compulsions) are present and the severity of these symptoms. A thorough mental health evaluation also includes a review of records, both medical records (such as immunizations and physical exams) and school records (such as grades and test scores). Information regarding how your child functions in the school setting should also be included. Because young people spend such a large part of their day in school, teachers and other school personnel are an extremely important resource in this regard.